We’ve all heard about placebos. With a psychosomatic illness, a doctor may prescribe a sugar pill or fake pill (placebo) for what may be a fake illness. If it’s all in your head, then that is the place to fix it. But what about a real illness with real symptoms? Just because the symptoms are real does not mean they were caused by eating something urinated on by an illegal alien in the field. 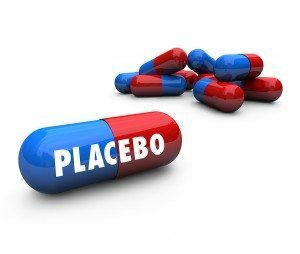 When a doctor knows a patient has a habit or reputation for faking illness or having real symptoms caused by nothing more than imagination, the physician may prescribe a placebo and the patient thinks the illness as well as the cure are real and so the placebo works. Napoleon Hill famously stated that “Anything the human mind can conceive, it can achieve.” Of course, that means far more than one’s well being or feeling well. One might just as well say the opposite is true as well. If you think you can, you are right. If you think you can’t, you are also right. So what then, might be the difference between a homeless person and a millionaire? Aside from the rather obvious difference of desire, that is. Certainly, the millionaire was willing to face obstacles, overcome them, and persevere through hard times and discouragement, whereas the homeless man was more inclined to take the easier road of giving up. The parallel was once illustrated of a man drowning and gasping for air and a teacher explained that when you want success as bad as the drowning man wants air, you are unstoppable. He will get the air he seeks or die trying. On the other hand the homeless man when kicked in the face, spat on, and thrown to the ground, decided to stay down because it was easier than getting up. There are several names for people like that; cowards, losers, quitters, poor people. Success is a Choice! That is the motto of My Daily Choice. And so it is. My grandsons tested out of their senior year of High School and so graduated at 17. They soon found employment as a plumber’s helper at $15 per hour. I have watched countless young people choose not to learn and have to complete the whole school program and even then could not find meaningful employment because they neither had a skill or was willing to obtain one. Fast food joints are full of workers that have no skills and are not willing to obtain any. How you retire is also a choice. Will you live in an old folks home, in your children’s basement, or independently with the financial means to remain so? One fellow chose to retire on the street as a homeless person because in order to become independently wealthy as an MLMer, he would have had to believe in himself and help others to believe in themselves also, and he just couldn’t do it because someone might have told him “no” along the way. Network Marketing is the absolute epitome of free enterprise. The God given right to choose. The ability to earn a small commission on a large group of people by showing them the advantage of changing the place where they buy something. The really interesting thing is that My Daily Choice has a sales funnel that when utilized, provides a steady stream of new clients, and virtually eliminates the possibility of failure. A 12 year old can do it without question. It does take a little money to make money, but even that can be substituted with time and effort. I can say with 100% certainty that if you follow my completely duplicatable plan, you too, will succeed at this business. If you are not already a member of my team, I encourage you to spend a moment in time and take the Free Tour and see if this business is for you. Take a FREE Tour, access the back office, check out the tools, watch it work.